Danny joined Watsi on July 25th, 2013. Two years ago, Danny became the 2267th member to automatically support a new Watsi patient every month. Since then, 2,810 more people have become monthly donors! Danny's most recent donation traveled 8,500 miles to support Lucy, a young woman from Kenya, to fund abdominal surgery. Danny has funded healthcare for 69 patients in 14 countries. Rachael is a teenage girl from Kenya. She completed her primary education last year. Rachael’s grandmother, her guardian, is a subsistence farmer. At six months of age, Rachael began to lose her hearing. Now, she cannot hear. She has learned to read lips, but her hearing affected her education. Now, Rachael is scheduled to receive hearing aids from our medical partner on February 15. These devices will cost $929. Rachael’s grandmother says, “I hope my grandchild can have her hearing restored or better still get anything to enhance her hearing." 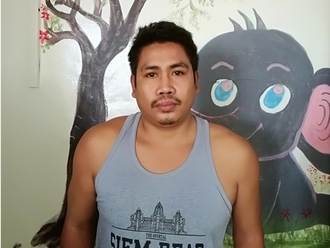 Srun is a garment factory worker from Cambodia. He has one daughter. He likes to listen to the radio in his free time. 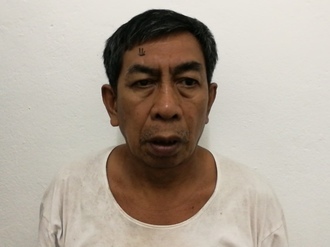 Five months ago, Srun developed a cataract in each eye, causing him blurry vision and photophobia. He has difficulty seeing things clearly, recognizing faces, and going anywhere outside. When Srun learned about our medical partner, Children's Surgical Centre, he traveled for three hours seeking treatment. On December 6, doctors will perform a small incision cataract surgery and an intraocular lens implant in each eye. After recovery, he will be able to see clearly. Now, he needs help to fund this $398 procedure. He says, "I look forward to returning to work soon." Soek Ly is a masseuse from Cambodia. She has two sons. She likes to watch Indian dramas on TV in her free time. 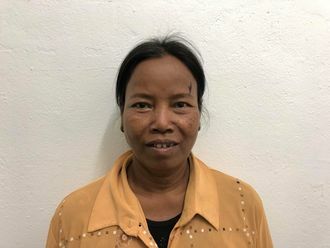 A year ago, Soek Ly developed a cataract in each eye, causing her blurry vision, burning, clouded lenses, and photophobia. She has difficulty seeing things clearly, recognizing faces, and going anywhere outside. When Soek Ly learned about our medical partner, Children's Surgical Centre, she traveled for one hour seeking treatment. On January 9, doctors will perform a phacoemulsification surgery and an intraocular lens implant in each eye. After recovery, she will be able to see clearly. Now, she needs help to fund this $398 procedure. She says, "I hope my eye surgery is successful so I can return to work and go for walks outside." Joel is a baby from Kenya. He is the youngest in a family of three children. Joel has been diagnosed with hydrocephalus, a condition in which excess cerebrospinal fluid accumulates in the brain and increases intracranial pressure. As a result of his condition, Joel has been experiencing an increasing head circumference. Without treatment, Joel will experience severe physical and developmental delays. 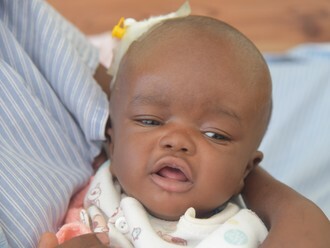 Our medical partner, African Mission Healthcare Foundation, is requesting $685 to cover the cost of surgery for Joel that will treat his hydrocephalus. The procedure is scheduled to take place on December 19 and will drain the excess fluid from Joel's brain. This will reduce intracranial pressure and greatly improve his quality of life. With proper treatment, Joel will hopefully develop into a strong, healthy young boy. Joel’s mother says, “I’d like to see my son treated and grow as a normal child." Ryan is a boy from Kenya. He is the youngest in a family of three children. He cannot wait to join his siblings in school. Ryan was born with hypospadias, a congenital abnormality that causes urinary dysfunction. Without treatment, he will continue to experience uncomfortable symptoms and will be at risk of infertility. Fortunately, Ryan is scheduled to undergo corrective surgery on August 13. Our medical partner, African Mission Healthcare Foundation, is requesting $676 to cover the total cost of his procedure and care. "I look forward to his condition being rectified successfully,” Ryan’s mother says. Chepkonga is a farmer from Kenya. He has one son. One week ago, Chepkonga was involved in a road traffic accident while he was heading home. He was diagnosed with a right hip fracture. He is not able to sit up or walk and is in severe pain. Fortunately, surgeons at our medical partner can help. On May 17, Chepkonga will undergo a fracture repair procedure, called an open reduction and internal fixation. Chepkonga will be able to walk again. Now, our medical partner, African Mission Healthcare Foundation, is requesting $966 to fund this procedure. “Thank you for this support program that I can get treatment," says Chepkonga.